Manchester: Spanish representation in the semi-finals has been cut to one team for the first time since 2010. The fact that team is Real Madrid isn’t a surprise. Seeking a record-extending 13th European title, Madrid is in the semi-finals for the eighth straight year and is meeting Bayern at this stage for the seventh time in the competition’s history. The most recent was 2014, when Madrid won home and away against a team coached by Pep Guardiola. Now the German team is coached by Jupp Heynckes, who led Bayern to the title in 2013 before his first retirement. 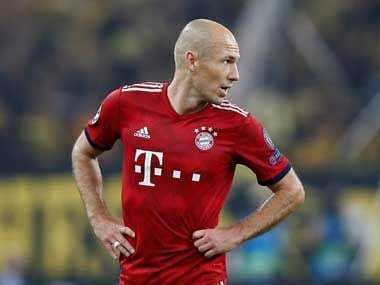 Heynckes came back in October to rescue Bayern after its faltering start to the season led to Carlo Ancelotti’s departure and has already said he will not be staying on beyond this season. Heynckes led Bayern to a Champions League-Bundesliga-German Cup treble in 2013 and is attempting to do so again, having already won the league and reached the final of the cup. Bayern has been eliminated by Spanish opposition every year since Heynckes first retired, and Madrid is the favorite heading into the two legs. The defending champions travel to Germany after a full week of rest and preparation since their last match, a 1-1 draw at home to Athletic Bilbao. They received the extra days off because their Spanish league match against Sevilla, originally scheduled for this weekend, was moved to next month after Sevilla reached the Copa del Rey final played on Saturday. 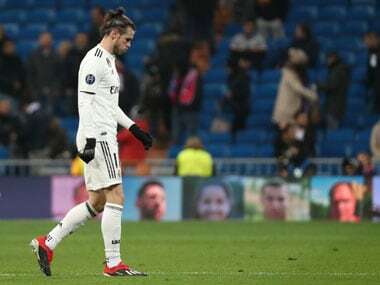 Zinedine Zidane should be able to count on all his first-choice players and must decide whether to start playmaker Francisco “Isco” Alarcon or winger Gareth Bale up front with Cristiano Ronaldo and Karim Benzema on Wednesday. Ronaldo will be seeking to continue his incredible scoring run after having scored in all 10 matches in the competition this campaign for a total of 15 goals. Bayern will be without combative midfielder Arturo Vidal because of a knee injury.